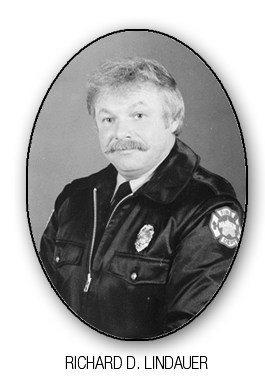 November 8, 1980, while enjoying a routine morning patrol, Superior Police Officer Gary Gravesen came upon an accident near Belknap Shores in Superior. What he found was a car entirely submerged in St. Louis Bay. Just a glow of the taillights and part of the roof could be seen below the surface of the near freezing water. Officer Gravesen radioed for additional help. Answering the call was Superior Police Officer Richard Pukema. With the water at a near freezing 36 degrees and the air temperature at 32 degrees, something had to be done that no one there was properly prepared to do. The officers attached safety ropes to themselves and to two citizens who had also stopped to help. Officers Pukema, Gravesen, and the two helpers entered the water and climbed onto the top of the vehicle. The chilling effect of the water was immediately felt, as Officer Gravesen said, “…it was like being hit with a sledge hammer … all of the air was instantly sucked out of my lungs.” A window punch was used to break open the rear window. They were not able to reach the trapped man through this opening and this effort only resulted in both officers becoming submerged in the icy water. Officer Pukema then broke through the driver’s window and reaching deeply into the car got a slight hold of the trapped man. Eugene Rasmussen was pulled through the window to the water’s surface. Unconscious and appearing lifeless, Mr. Rasmussen was brought to the roof of his car where CPR was started. This proved very difficult, so a safety rope was quickly secured around Mr. Rasmussen. Officer Pukema, suffering from hypothermia himself, put his nearly frozen arms around Mr. Rasmussen and they were both pulled to shore. Now put into the hands of Douglas County Paramedics, it was verified that Mr. Rasmussen was clinically dead. CPR and other rescue efforts continued while he was transported to a nearby hospital. 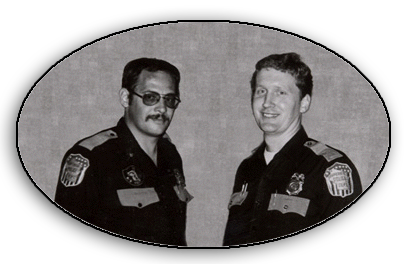 Due in part to a miracle, but mostly through the selfless and heroic actions of Officers Pukema, Gravesen, and two citizens, Eugene Rasmussen not only survived, but also went on to recover from his ordeal in the waters off Lake Superior. “He is a rare find who has a matchless record in regards to the amount of passion, dedication, heart and hours that he has put into providing good will amongst children, families, and firefighters.” This quote from Madison Firefighter’s Local 311 is a summation of a very lengthy yet much abbreviated letter describing Richard “Lindy” Lindauer of the Madison Fire Department. “His four decades of commitment have spanned three generations of families. He has had a half a mission children and adult lap sitters reveal their Christmas wishes to him. He has made annual appearances at community centers, low-income neighborhoods, tree lightings, and has visited countless thousands of hospitalized children, many that would be experiencing their last Christmas.” “To those of us that have been on “Santa’s Hospital Visits,” we can tell you that it is an awakening for all involved. The love, caring and sincerity that “Santa” bestows on each individual child and their families evokes emotions throughout the hospital and inspires everyone in attendance. No one can energize a room quite like Lindy does.” These quotes and many more like it come from a few of the countless individuals whom Lindy’s efforts have touched, both those that he has given his helping had to and to those whom he has guided and taught to help others. During his 35 years of service with the Madison Fire Department, Lindy served every day of his career with the same passion and enthusiasm that he displayed while being Santa. From public fire education, to developing senior citizen safety programs, to teaching young drivers how to respond when encountering emergency vehicles and being part of a nationally recognized cold water rescue and resuscitation team, Lindy has taken “community service” to a degree far beyond what anyone would ever expect from any individual.